Extra firm control waist cincher, as featured on Gok Wan's "How to look good naked". Basically a huge rubber band that really pulls you in. My View: "These latex waist cinchers give the firmest control possible without using a lace up corset. 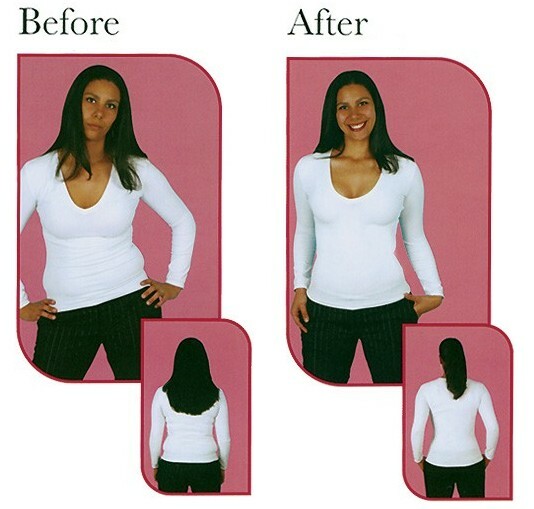 Fantastic body shaping." As featured on Gok Wan - "How to look good naked"
I followed the sizing guide, and got exactly what I wanted: a waist! A very comfortable and sturdy product at a reasonable price. I have to go with five stars. This item gives you your hips. Sorry Geraldine I can do without the hip and thigh pads now. And the loo is a lot easier to manage. Very much worth the price. If your on the cusp of two sizes, go for the larger one, tight means tight. Gabby.